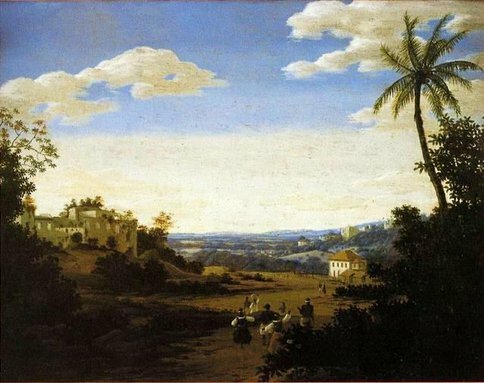 On May 15, 1645, meeting on the São João Plantation, 18 insurgent leaders in Pernambuco signed a commitment to fight against the Dutch rule in the captaincy. With the agreement signed, thus started the counter-attack on the Dutch invasion. The first major victory of the insurgents took place on the Mount of Tabocas (now located in the municipality of Vitória de Santo Antão) where 1200 mazombos insurgents armed with guns, sickles, sticks and arrows defeated 1900 well-armed and well trained Dutch, in an ambush. The success has given leading Antonio Dias Cardoso the nickname Master of Ambushes. The Dutch who survived went on to Recife, and again defeated by an alliance of mazombos, Indians native and black slaves. They retreated back to the fortification in Cabo de Santo Agostinho, Pontal de Nazaré, Sirinhaém, Rio Formoso, Porto Calvo and Forte Maurício, was successively defeated by insurgents. Finally, Olinda was recovered by the rebels. 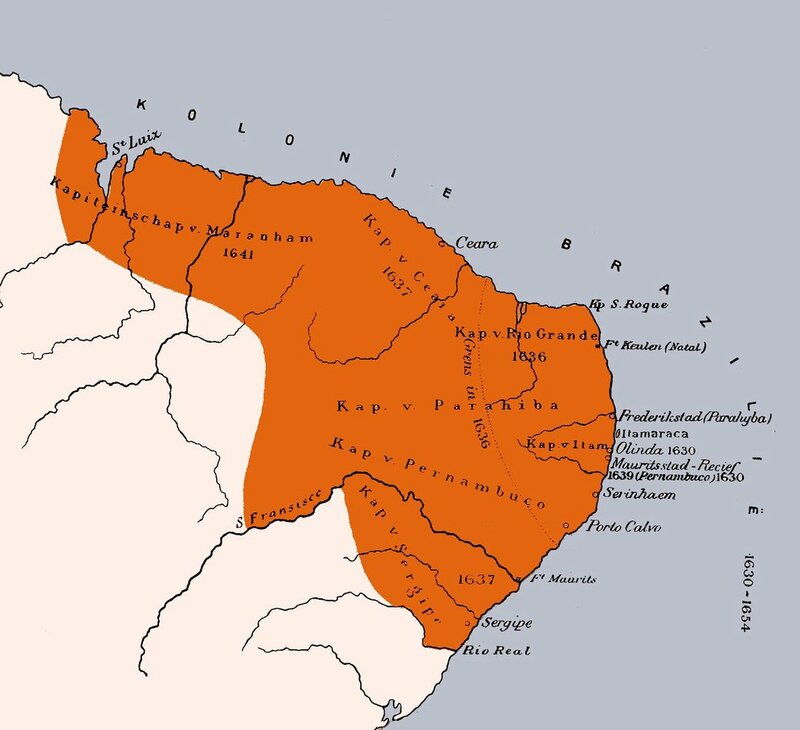 Surrounded and isolated by rebel bands in their colony known as New Holland, going from Recife to Itamaracá, the invaders began to suffer from lack of food, which led them to attack cassava plantations in the villages of São Lourenço, Catuma, and Tejucupapo. On April 24 in 1646, there was the famous Battle of Tejucupapo, where peasant women armed with farm implements and arms drove out the Dutch invaders, humiliating them permanently. 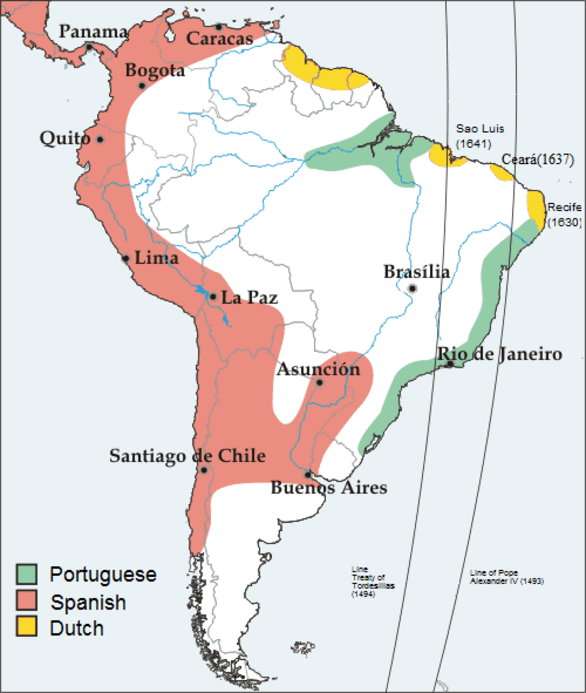 Dutch Brazil, also known as New Holland, was the northern portion of Brazil, ruled by the Dutch during the Dutch colonization of the Americas between 1581 and 1654. The main cities of the Nieuw Holland were Frederikstadt (today João Pessoa), Natal (the ancient Nieuw Amsterdam before NY), São Cristóvão, Fortaleza, Sirinhaém and Olinda. While of only transitional importance for the Dutch, this period was of considerable importance in the History of Brazil. Local Portuguese settlers had to oppose the Dutch largely by their own resources, and made use of their knowledge of local conditions; this struggle is counted, in Brazilian historical memory, as laying the seeds of Brazilian nationhood. The Groot Desseyn (Dutch for "Grand Design") was a plan devised in 1623 by the Dutch West India Company to seize the Portuguese possessions in Africa and the Americas, in order to establish a trans-Atlantic trade that was to prove as lucrative as the trade of the Dutch East India Company in Asia. After the Twelve Years' Truce ended, the Dutch West India Company was founded on 3 June 1621. This company was granted the monopoly on trade in the Atlantic by the States-General of the Dutch Republic. After capital had been raised for the company, the company's directors, the Heeren XIX, devised the Groot Desseyn in October 1623. The plan was to first seize the capital of Brazil, São Salvador da Bahia (Salvador), and then the main Portuguese fort on the coast of Angola, São Paulo de Loanda (Luanda). In this way, the company would control both the lucrative sugar plantations in Brazil and the Atlantic slave trade. Control of the trade itself was necessary because of the high mortality rate from the plantations' harsh conditions and tropical diseases such as malaria. Things changed for the better for the company when Piet Hein captured the Spanish treasure fleet in 1628. The company was suddenly flush with resources and set out to try once again to capture the Portuguese Atlantic colonies. The slave port of Gorée in Senegambia had already been seized in 1627. A fleet under the leadership of Hendrick Lonck then managed to capture Recife and Olinda in early 1630. A separate group took Arguin in 1633. The occupation was strongly resisted and the Dutch conquest was only partially successful. The Dutch, who allowed sugar production to remain in Portuguese hands, regarded suppression of the Quilombo of Palmares important, but they were unsuccessful. Johan Maurits van Nassau-Siegen, count of Nassau, was appointed as ruler of the Nieuw Holland. This change of tack by the government, almost entirely from exploitation by Portugal to something closer to a colony of settlement, some colonists did rebel against Portugal. Among them, Domingos Fernandes Calabar, who fought against the Portuguese resistance until the end of his life. Dutch Brazil passed through important cultural, economic and social government of Count Maurice of Nassau. Olinda was a difficult point of defence; according to Dutch design, it was abandoned and burned by the Dutch troops. Nassau's government built Maritania or Mauritsstad (present day Recife) on delta islands, which had similarities to Holland's topography. 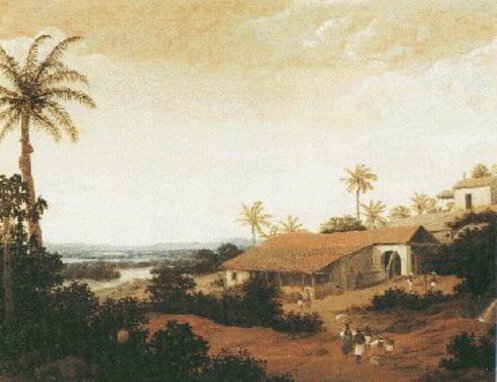 Unlike Olinda, the low swamplands of Mauritsstad were easier to defend and The Dutch West India Company set up their headquarters in Recife. Nassau's Dutch administration was noted for advancements in urbanism, culture, and science. Under Nassau's command, the future Recife would surpass Olinda in regional importance with the construction of bridges, schools, infrastructure and sanitation. Johan Maurits, invited artists and scientists to the colony to help promote migration to the new South-American colony.